I am now the proud owner of an Arduino Uno. I know some of you are now rolling your eyes thinking “that’s nothing new,” but to me it’s something new to keep my mind busy, and to save it from countless hours of Top Gear re-runs on Dave HD. So. Now I need to decide what to build. Eventually I fancy myself a UAV, capable of flying for hours on end without any human intervention (apart from maybe sending some new co-ordinated.” For now though I think that is well beyond my current knowledge of Arduino. The kit i received contained a few components to make a four sensor data logger, temperature, humidity, light levels and tilt. The kit also included an LCD display, a breadborad, a load of jumper wires and a few LEDs and resistors etc. Unfortunately the one thing the kit was missing was instructions. Not to worry though, all of the components are labeled up and pretty easy to find on Google, the LCD being the exception. 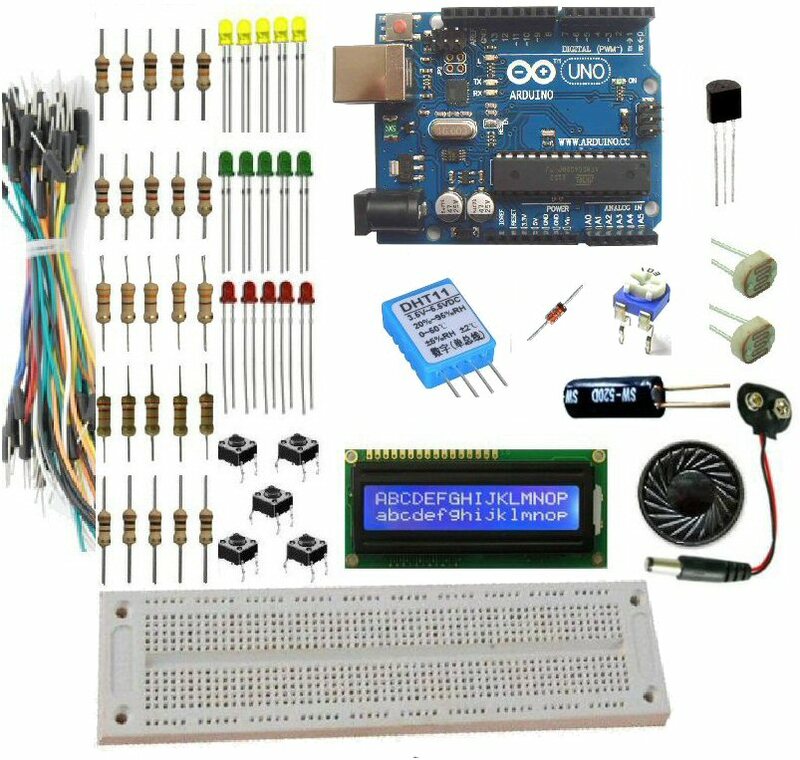 Maybe this will be the first thing I build and document to help others who buy this kit from Ebay as a means to learn about Arduino and then sit and stare blankly at the box of components in front of them. I did however manage to figure the LCD out using a few articles found through Google, and to the amusement of my son made the LCD display “Mammy Stinks” when a button was pressed and “Kyran is awsome” when another was pressed.